For a car to work it is an utmost necessity to install an engine – and there are lots of different engines out there, varying in size, specifications, power, and speed. Callaway is a company known in designing engines and in altering model cars from Chevrolet and Corvette. The success all started way back 1973 when Reeves Callaway, the founder, decided to work as a driving instructor at Bob Bondurant’s racing school. Without the financial assets to start a racing career, he decided to start the journey on this rather small path. But this did not stop Callaway. Having driven the new BMW 320i from the racing school, he was able to study its weaknesses and complexities, encouraging him to construct his first-ever prototype turbocharger system. His potential in creating modified cars was discovered by an automobile journalist named Don Sherman and was even the one who pushed Callaway to build turbocharger kits for the BMW community. As Callaway’s name start to circulate headlines, he decided to establish Callaways Cars, Inc. in 1977. The company has successfully manufactured turbocharger kits for automobile giants such as Volkswagen, Porsche, BMW, Audi, and Mercedes-Benz. In 1987, Callaway Cars even got more popular when they were tasked to create a twin turbo kit for Corvette. Having dealt with so many clients, in a track of only five years, Callaway was able to sell 500 twin turbo kits. More opportunities followed when Aston Martin requested Callaway to create the 5.3L V8 engine coming from the recently introduced Virage for its AMR1 Group C racer. 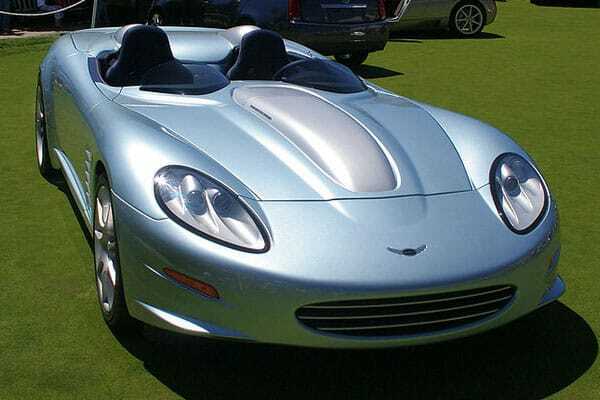 The headquarters of Callaway Cars, Inc. is located at Old Lyme, Connecticut with facilities at California and Germany. They are now working on a new project – the C16, a supercharged C6 Corvette. And on this 2012, Callaway’s 25th Anniversary Limited Edition Corvette was upgraded and was equipped with the re-released Chevrolet RPO B2K. Up until this moment, Callaway is still famous for powerfully engineered automobiles where style meets engine power and thrust.